Close up of John Smith's Virginia map, engraved by William Hole, 1608. Via Wikicommons. In seminary and graduate school, I was taught that the first North American Presbyterians were part of the Puritan immigration that began in the 1620s in Massachusetts and soon spread to other portions of New England, especially Connecticut. The Puritans who peopled New England were usually contrasted with the “Cavaliers” who populated Tidewater Virginia. Subsequently, I learned that the Puritan movement was a far more variegated and fluid one. 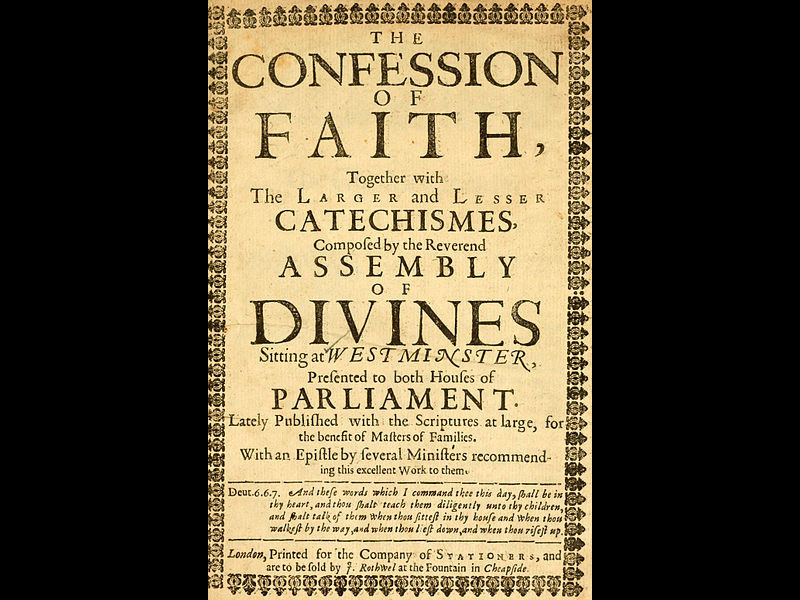 The Calvinist-focused Protestantism of the British Isles had yielded an ever-changing spectrum of adherents, with a wide range of practices and commitments. Some were fiercely separatist, wanting full separation from the Church of England, such as those who came to be known as “Pilgrims.” Others were moderate separatists who came to be termed “Congregationalists.” Still others found solidarity in a polity and theology that came to be termed “Presbyterian”—accentuating the oneness of the Church of Jesus Christ and expecting local church elders to work together with ministers in forging creeds and practices. Some Puritans sought to eliminate any traces of Roman Catholicism, while others were quite comfortable with much about traditional worship and work. Of the first Presbyterians in North America, some considered their churches as parishes, encompassing all residents in an area rather than just those with “pure” religion. Other Presbyterians employed the Book of Common Prayer. Many followed Calvin in granting magistrates authority in directing some parts of church life. In time I also learned that Presbyterianism in the Middle Colonies did not have an ancestry that was exclusively “Scotch-Irish”—think of those dour, stubborn, frugal, bag-pipe playing Scots and Ulster Scots who had been exiled to Northern Ireland before immigrating to America. The Scotch-Irish and their Scottish cousins did in fact populate Pennsylvania, western Virginia, the river basins of the Carolinas, as well as other frontier locations, but that was mostly after the 1620s. 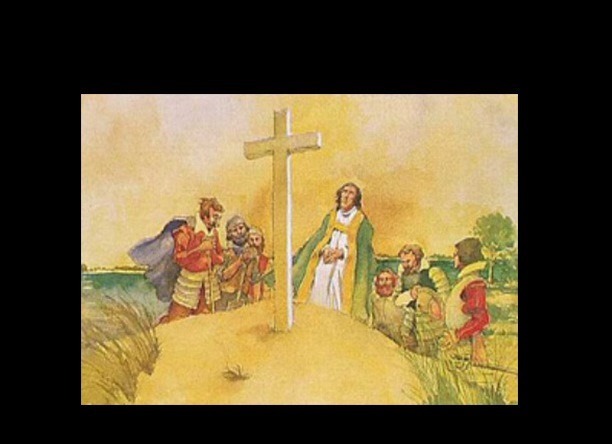 Before them, other British Presbyterians had landed on Middle Atlantic shores, including prominent members of the first permanent English settlement in the Americas: Jamestown. Robert Hunt depicted wearing clerical garb at Cape Henry, National Park Service image. Jamestown’s “First Chaplain,” Robert Hunt, was “Presbyterian.” You would never know it from the biography provided by the National Park Service, from his shrine at Jamestown, from the legend at the restored Presbyterian meetinghouse on the fringe of Colonial Williamsburg, or from his status in the Calendar of Saints for the Episcopal Church in the USA. And yet he was called by other colonists a “preacher,” not a priest. He wore no clerical garb and oversaw erection of the first Jamestown chapel with a rough pulpit and no altar. A few histories of Presbyterians in Colonial America do cite the Virginia beginnings. But more accept the commonly-received wisdom. They focus on Makemie, the Scotch-Irish, and the organization of presbyteries, synods, and finally a General Assembly. So permit me, if you will, a somewhat heretical overview of Presbyterian beginnings in the British colonies. Perhaps it will help all of us to see how variegated our Reformed heritage really has been. 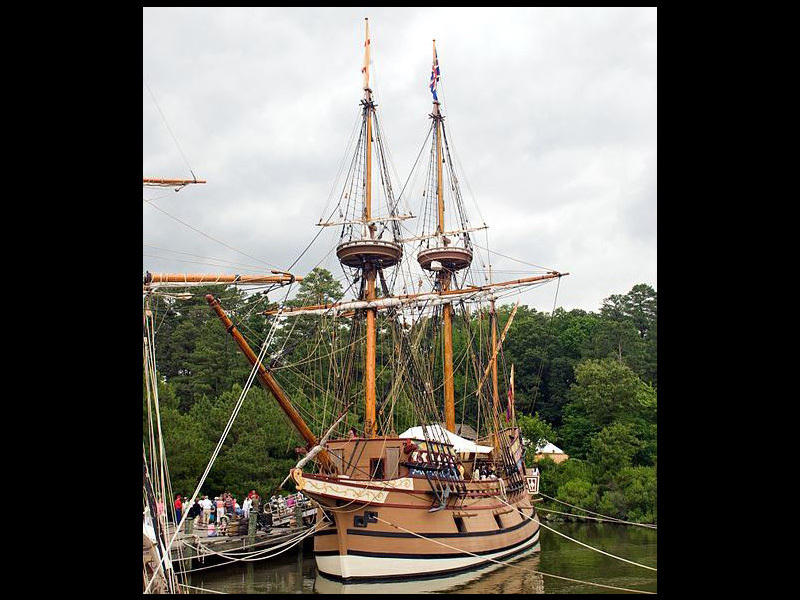 Replica ship Susan Constant at Jamestown Settlement, via Wikicommons. The anglicized Greek word, “Presbyterian,” was borrowed by the English Reformed from the members of the Church of Scotland who fought for decades to oppose an episcopacy. It came into common use in English about 1607, the year of the Jamestown expedition, though the Reformed movement had been gathering strength since the 1560s in all the isles we now term “Great Britain.” “Presbyterian” was a term used to brand those English-speaking Protestants who sought to balance allegiances of the state-church Anglicans and those of the sola scriptura advocates seeking complete separation from any remnants of the Roman Catholicism they abhorred. As the Presbyterian movement emerged robust in Britain, it appealed to literate leaders in the Church of England, to tradespeople and minor gentry, and to what we might now call an emergent middle class. Cover, Westminster Standards, 1658, via Wikicommons. 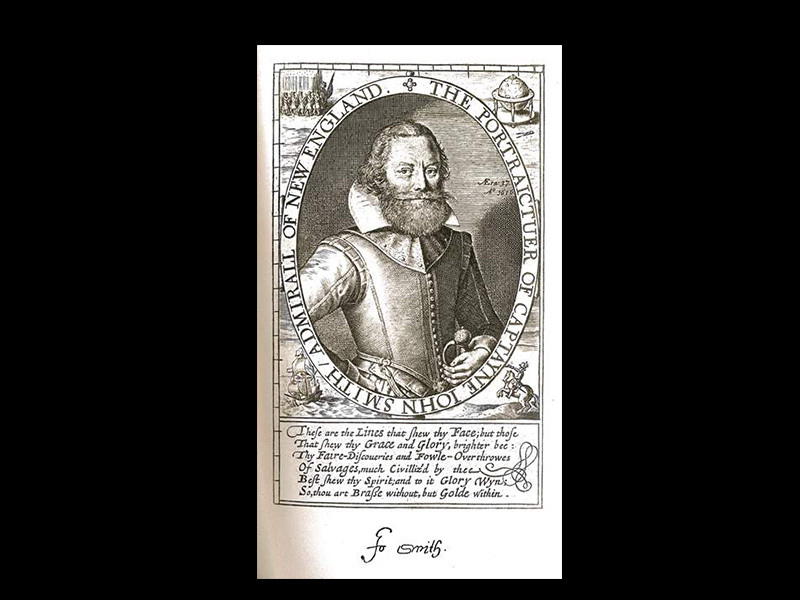 It was Hakluyt, one of four persons granted the charter for the London Company, who recruited Chaplain Hunt for the famous voyage of the Goodspeed, Discovery, and Susan Constant. Some report Hunt had been accused of adultery, and that the offer to sail faraway was timely, as it preserved his ordination. But Edward Maria Wingfield, another of the four owners of the London Company and President of the First Council of Virginia, had nothing but praise for Hunt. He boasted, “And the world knoweth that when I took with me truly a man, in my opinion, not any way touched with the rebellious humor of a papist spirit, nor blemished with the least suspicion of a factious schismatic.” In other words, Hunt was perceived by the authorities as belonging to that middle “Presbyterian” movement—neither Anglo-Catholic (a “papist spirit”) nor Protestant separatist (a “schismatic”). John Smith, who seems to have been of similar persuasion to Hunt, made note of “the preaching of the Gospel” as worship began in Jamestown. It took place under an old sail stretched among three or four trees, with some wood walls and plank pews. Although Smith spoke of the colonists fashioning a rough-hewn “pulpit,” he made no mention of them making an altar. He said they soon built a barn-like church and continued “two or three years after till more Preachers came.” Pulpit, not altar. Preachers, not priests. John Smith, from Old Virginia and Her Neighbours, by John Fiske, 1897. Robert Hunt died in the colony’s infancy, perhaps as early as the spring of 1608, certainly by the spring of 1609. Smith and others remembered him as a reconciler and a peacemaker among the fractious colonists. Other chaplains followed Hunt under the London Company charter that lasted until 1624. They were all Presbyterian, probably; Alexander Whitaker and George Keith, about which the most is known, certainly were. Whitaker, who arrived in 1611 with Thomas Dale, was reputed to have taught that “baptism purifies none, except those who receive the promise of gratuitous justification in Christ, and there was nothing like a real, express presence in the elements of the Lord’s Table.” Whitaker organized his parish congregation upstream on the James River. In Presbyterian fashion he shared leadership with four elders, wore no surplice, and focused on preaching and teaching the Bible. He bragged to a cousin in England that in Virginia colonists did not even speak of surplices and subscription. It was Whitaker who married John Rolfe and Pocahontas. Keith, a Scot who succeeded Whitaker, served various parishes beginning in 1617. 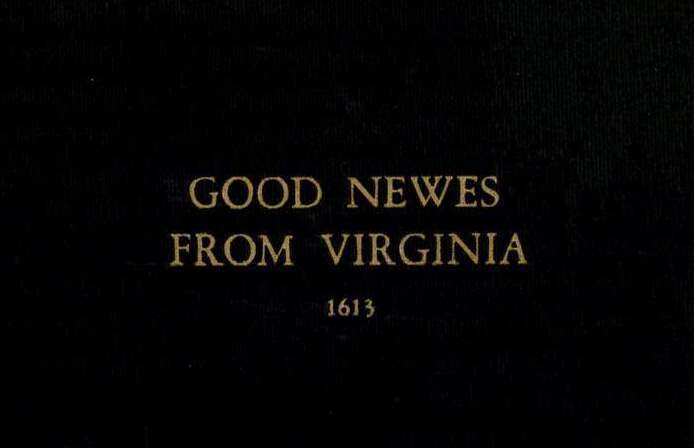 He characterized the situation more bluntly, claiming that Virginians did not revere “ceremonies” and had little use for the Book of Common Prayer. He followed Whitaker’s example by sharing power with four elders. The Reverend Mr. Glover had also sailed to Virginia in 1611, the same year as Whitaker, though he died soon after arriving. Richard Buck, another cleric, was recorded as preaching and leading the company in prayer. Historian Edward Neill declares that Whitaker, Glover, and Buck all delivered “a sermon or a lecture on Thursday” according to Puritan custom. Neill also names some others clergy in Virginia before 1624—William Mease, Thomas Hargrave, David Sands (or Sandys), Jonas Stockton, Robert Paulet, Robert Bolton, William Bennett, Thomas White, Greville Pooley, William Leate, and Henry Jacob. Brief sketches of the men indicate that most were entrepreneurs who mixed their ministry with business endeavors, as Francis Makemie would later do. Little is known of them; most died shortly after arriving in America. Cover of narrative by Francis Whitaker, 1613. Gradually, with the reconstituting of Virginia as a “Royal Colony” in 1624, hierarchical Anglicanism became more prevalent. But a tolerated Presbyterian presence continued in numbers of congregations throughout the seventeenth century in Virginia. Moreover, many credit Puritan influences (and usually Presbyterian ones) with the development of a distinctive and significant institution of “Vestry” (comprising selected lay leaders from the parish) among American Anglicans in the eighteenth century. English Presbyterians in Virginia were soon joined by Dutch Reformed, French Huguenots, and German Reformed Christians, many of whom were energized by the evangelical mission to introduce Christianity and literacy to Native Americans. The Reformed of both Presbyterian and Congregational persuasions would come in the later 1600s to take all sides concerning the “Peculiar Institution” of slavery as it emerged in North America, with at least some eschewing it entirely and others receiving Afro-Virginians into their churches. That is a more complicated heritage than the monochromatic versions Presbyterians often focus on—think bagpipes for church celebrations or anniversaries—and one that is harder to tell. Maybe that’s the reason we’ve left the messy narrative of the beginnings of Christianity in colonial Virginia to the Episcopalians. Richard Hakluyt, Discourses on Western Planting, Presented to Her Majesty the Queen (London: 1584) preface. Quoted in John Turner, “Colonial Religion and True Revolution in Virginia,” Joseph Prud’Homme, ed. Faith and Politics in America: From Jamestown to the Civil War (Peter Lang: 2011), p. 3. Quoted in Edward D. Neill, Virginia Colonial Clergy. (Philadelphia: 1877), p. 3. Philip Barbour, ed. The Complete Works of Captain John Smith, 1580-1631 (Chapel Hill: 1986) 3:295. Quoted in Paul Rasor and Richard E. Bond, From Jamestown to Jefferson: The Evolution of Religious Freedom in Virginia. (Charlottesville: 2011), p. 17. Leonard J. Trinterud, The Forming of An American Tradition: A Re-examination of Colonial Presbyterianism (Philadelphia: 1949). Louis Weeks is a retired President and Professor of Historical Theology at Union Presbyterian Seminary in Richmond, VA. A PHS Board Director, he currently serves as Board Chairman.